How would you like to support Saluki Athletics while reducing waste on campus? 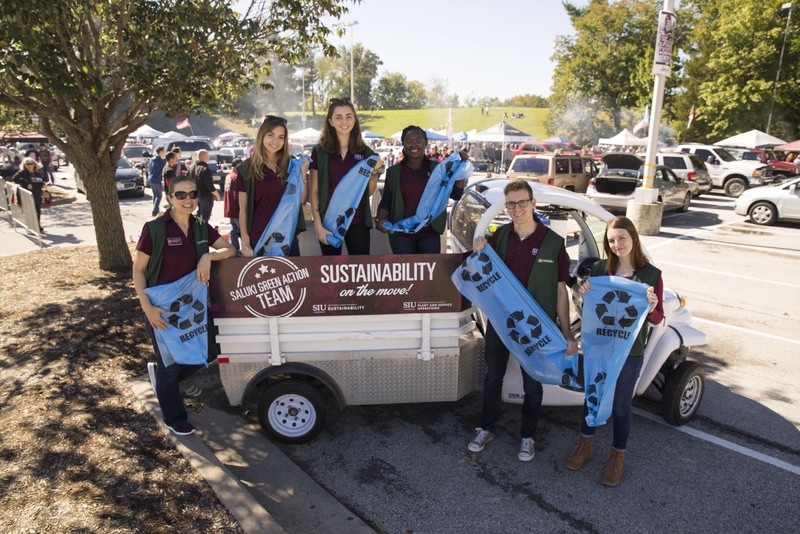 Join the Sustainability Office along with other motivated student volunteers in the pursuit of integrating our favorite Saluki sports with sustainable actions. 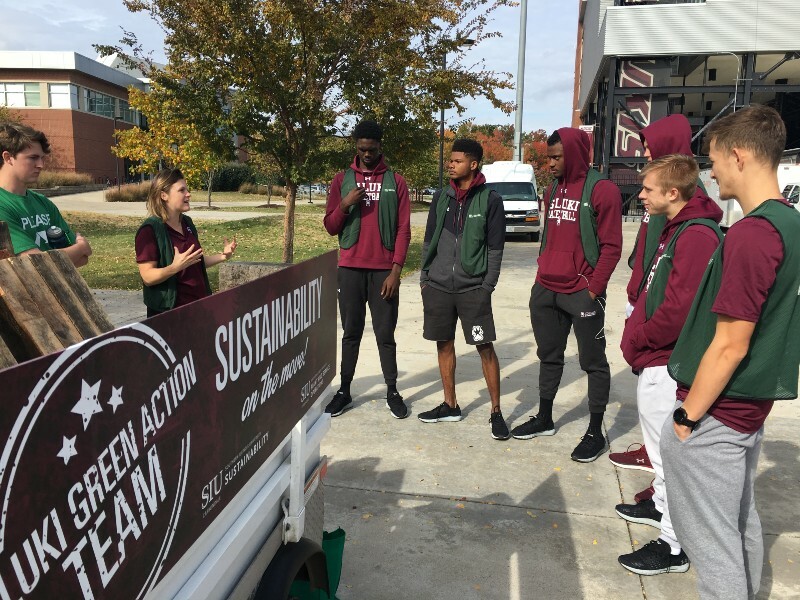 The goal is simple: inspire saluki fans to recycle! How we achieve this goal is simple too: with your valuable contributions! 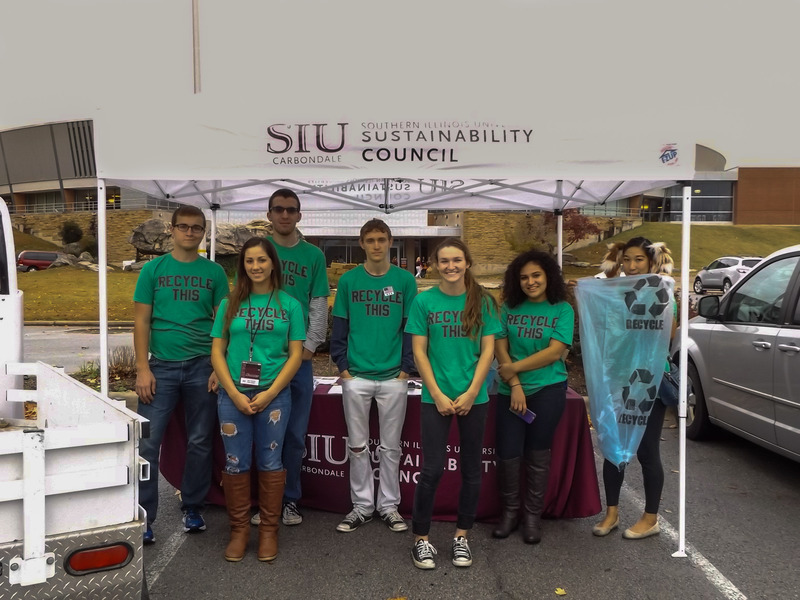 Since 2015, SIU Sustainability has been partnering with SIU Athletics to promote recycling to our football game day tailgaters. In 2018, we expanded our promotion into the stadium. We rely on our partnerships with PSO Grounds, PSO Building Services, and our Saluki Green Action Team volunteers to support this initiative. 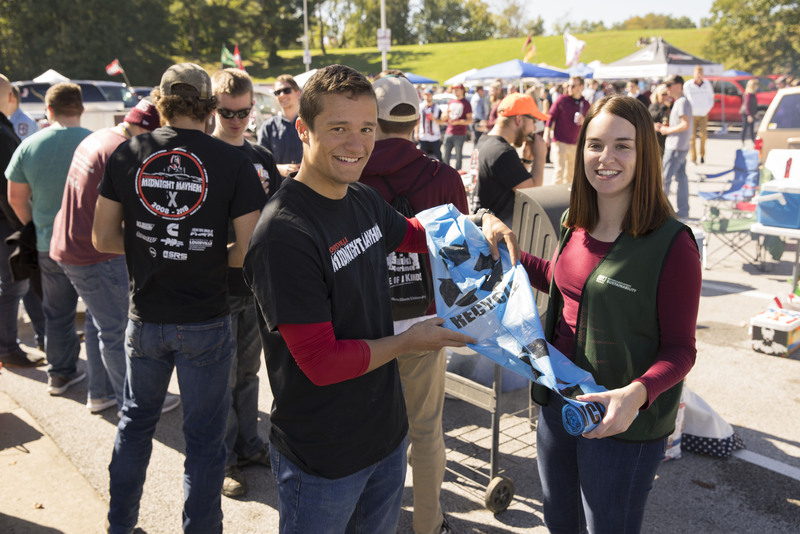 Congratulations, Saluki fans, you have helped us to divert a total of 6540 pounds of recyclables from the landfill during the 2018 football season! Thank you for helping us to create a more sustainable southern Illinois!